There are several activities that are available here on the beach. One of those activities are boat tours. 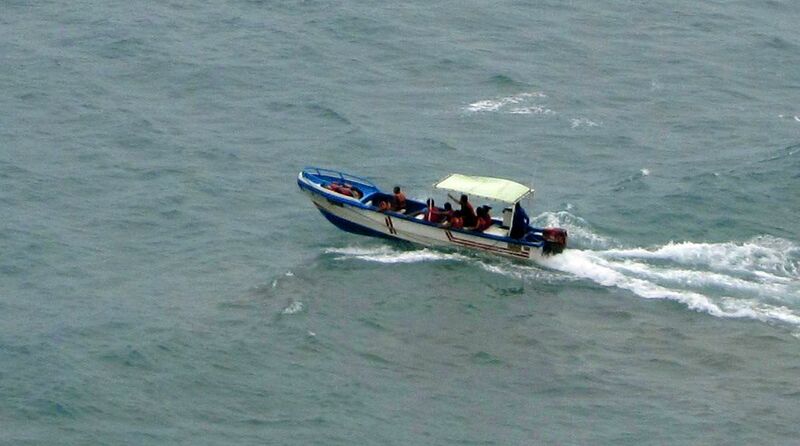 A small boat with a canopy backs up the beach near the shore and loads up somewhere from 8 to 10 people for a short tour. Each person is given a life vest and they are off bouncing over the incoming waves for a short tour. I am pretty much a chicken when it comes to small boats. I remember when we were living in Florida and Joe wanted to take Jennifer and I out in a canoe on the Rainbow River, I did it once and that was it. Just not my thing. Both Jennifer and Joe loved it. And they would go often without me, until Joe found out there were alligators in that river. To see the waves lift the front of the boat out of the water and slam it down makes my stomach queasy… The set up here is very similar to other places we have lived on the water. They have the banana. It could actually look like a banana all in bright yellow or could be orange or blue but it is always called the banana. The ride starts out nice and calm but when the ride is finished the boat makes a very sharp turn and dumps everyone on the banana in the water. They even have one that looks like a huge tube but no hole in the middle, it has a bunch of handles at the top and you bounce over the water while you are hanging on for dear life, screaming the entire time. Then the boat makes a sharp turn and flings you into the air into the water…as you can see my idea of fun is not getting flung around on a piece of rubber to land on my face in the water. I know you are all saying she is SO OLD, no it is not that, well I am old but…when I was young I would never have done any of these activities either. There are other quiet more calming activities you can enjoy on the beach. My next post will show a few of those. 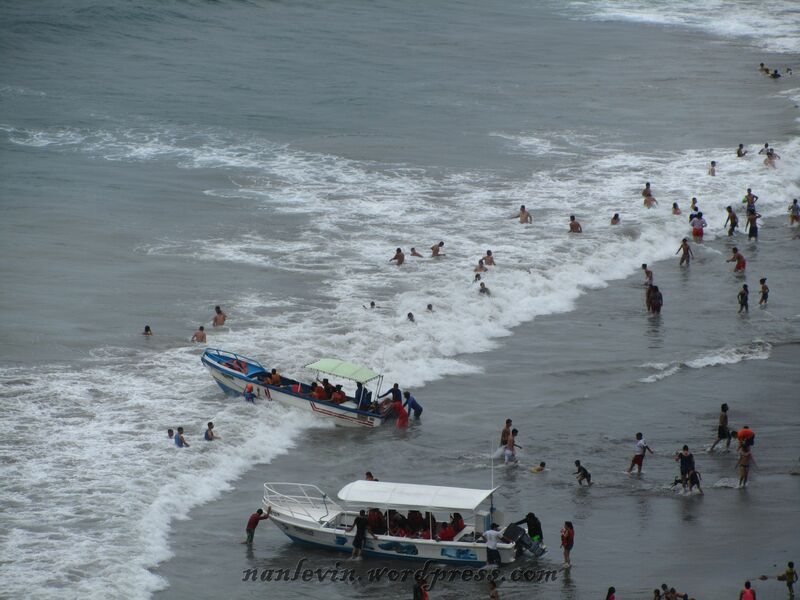 This entry was posted in Beach, Boats, Ecuador, God's Blessings, Manta, Ocean Breezes, Old Coot and tagged Beach living, Boats, Ecuador, Manta, South American by Nancy Levin. Bookmark the permalink. 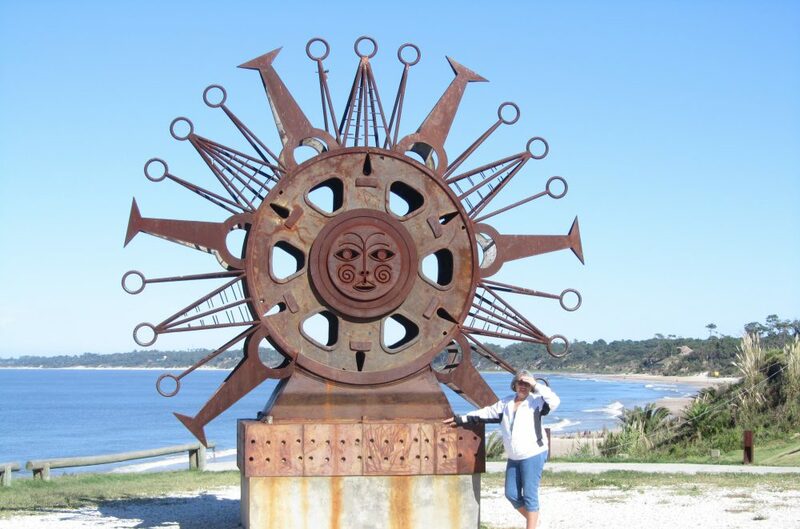 I am really loving all of your posts highlighting activities and life in Manta. Rob and I are definitely going to have to spend some time there to explore and enjoy! Thanks for sharing! Miss you. Hugs to you and Joe! Nancy I can tell you, from experience, that if you do take the ride on the banana or raft and it starts to flip over – it is better to let go and bob in the water than it is to hold onto the handles and be dragged underwater while proving how tough (or stupid) you are holding on. It is a testament to your good judgement that you have lived to be old enough to know better. With me it has just been plain good luck. 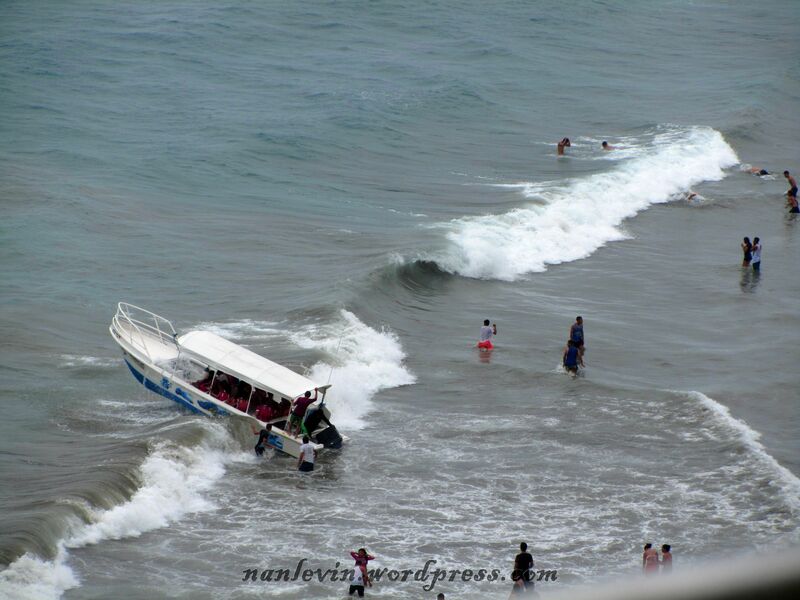 Have fun in Manta and stay safe.